App Store Optimization is the process of meta-data optimization aiming to improve app visibility in search results. Semantic core is a set of keywords and keyphrases that describe an app in the most precise and clear way. 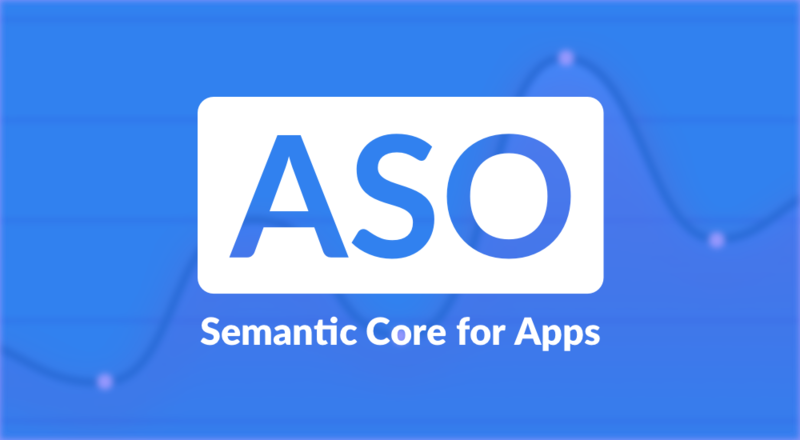 First of all, it’s important to emphasize that semantic core and the process of its creation is one the most crucial and time consuming tasks in ASO. Further, based on semantic core we select which keywords to use. Unlike web developers, mobile apps teams can not know for sure which frequency different keywords obtain. Even Apple’s Search Ads doesn’t give access to such information in absolute values. Therefore, we can only assume how frequent one or another search request is. For better clarity, let’s review every step of semantic core creation having a real app as an example. 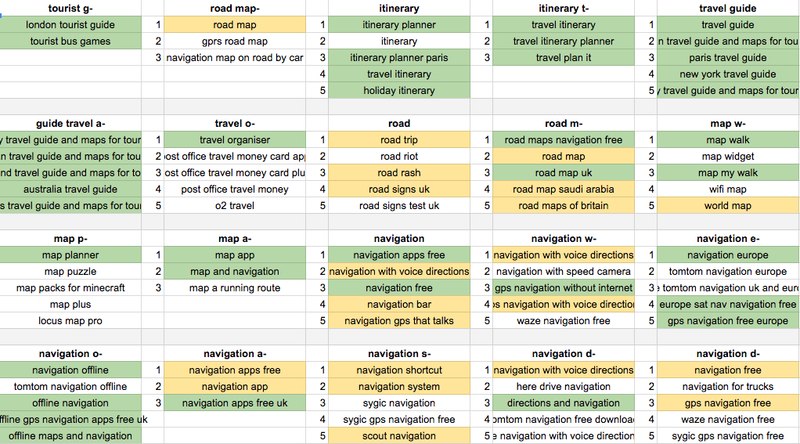 Our good friend kindly agreed to provide us with all necessary data about his new app Travel Quests (at the moment of publication the app hasn’t been launched in the App Store yet). Before building semantic core ask yourself a few questions. You should clearly understand who are your users. For instance, your app is a game where users have to choose outfits for dolls. Most likely your main audience are girls of the age below 12 years old. Older girls or boys are hardly interested in it. Try to define your customer segment before getting started with semantic core creation. What value does your app bring to users? What is your app about? What its aim is? Why would the user install it? Answers to these questions are your first relevant keywords. How does your app differentiate from competitors? Try to formulate what makes your app special. Your ideas are medium- or low- frequency search requests that customers can use. They might not be the most popular ones but here is a hidden value. While your competitors are focusing on top-used keywords you can reach better positions by applying less popular but well targeted requests. At this stage don’t rely only on names that come first to your mind. Make a good research and find out who are your direct and indirect competitors. 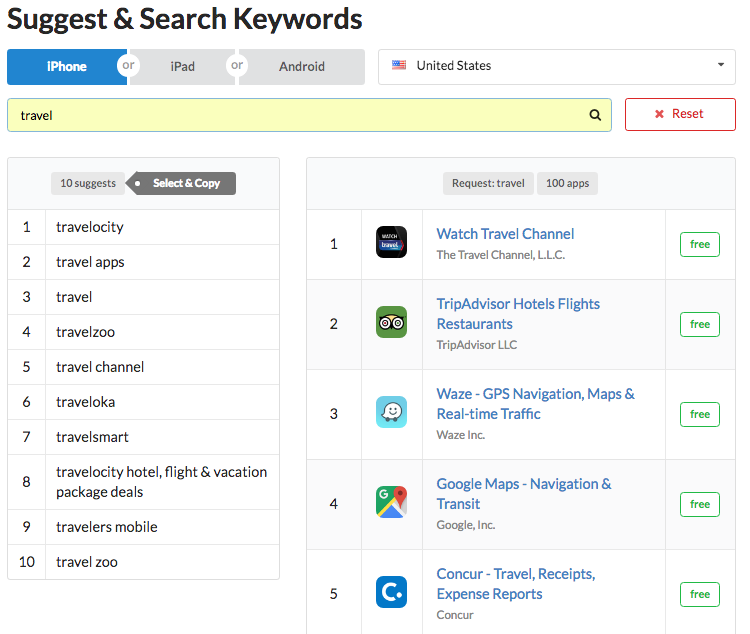 After checking up each of them, make a list of keywords they use most often. You can ‘borrow’ some of them and generate your own ideas. What is the main market for your app? You might be surprised but keywords used in the British and Australian App Store can be a good fit also for the Russian market. How can you use it? Even if your main customer base is located in Russia, you can add keywords that didn’t fit in Russian version (due to symbols limitations) for the U.K. and Australia App Stores. More details about additional locales and indexation in Google Play will be available in one of the upcoming articles. Perhaps, you’ve already answered all highlighted questions before. Most likely, you did it even before the app was created. Even better! This information is essential for creating a semantic core and selecting right keywords. Keywords selection is a basis of semantic core creation, that’s why it’s important to choose the most relevant ones for further promotion. Let’s get back to our example — Travel Quests app. It’s easy to understand by simply reading the app’s name that it relates to travelling and quests. It means we should concentrate our ASO efforts on people who like travelling and looking for interesting and active ways to spend their time abroad. In this case relevant requests are: «travel», «guide», «tips», etc. Besides, it’s worth to notice similar requests, i.e. words that do not directly describe main app features but still have a potential for driving traffic. For Travel Quests it might be the following keywords: «museums», «tours», «sightseeings». The analysed app is not a travel agency, however people who are planning to have a trip can become its customers. Request relevance is very subjective, therefore the more alternatives you check, the higher are the chances that you create a high quality semantic core. make use of synonyms and language vocabularies if you need to choose keywords for foreign markets. Multitran, for example, is a good tool to try. As mentioned above, App Store and Google Play do not provide any public data on search requests frequency. However, it doesn’t mean we can’t estimate it. The main tool for that is the list of search suggestions. When you start typing the request in the search bar, the list is automatically generated by the store. The most popular keywords and keyphrases are placed on the top. If requests you are planning to use do not appear there, most likely they won’t drive any traffic to your app. There is one more tool for App Store — Search Ads, recently introduced by Apple for improving app visibility in the search. Using it, it becomes possible to give approximate estimations on how much traffic different keywords can generate. Currently the tool is available only for US market. If your app is targeting USA, you have an advantage. Thus, get access to Search Ads as soon as possible! It’s very time consuming task to collect search suggestions manually by checking every request on the tablet or smartphone. AppFollow simplifies this process. This tool can programmatically generate the list of suggestions for your app if you are subscribed to Premium plan. Based on this example, we will illustrate how to estimate frequency and build semantic core. Collecting suggests is the most appropriate way to build semantic core. Choose the necessary device: iPhone/iPad or Android. In the field behind it enter keywords of your interest. Select needed locale in the list on the right. As the result, you will see the list of suggestions in the left column. If you compare it with the list on your smartphone, you will find them identical. In the right column you can see the search results for entered keyword in the selected country. We will come back to this part later in the article. It’s worth noticing that if you check up the suggestions for Android, Google Play adjusts them in accordance with your IP-address. It means that if you are in Russia and you need to see the suggestions for USA, you need to change your IP to American one. Free VPN tools can help you with that. Otherwise you will see the search data for the country you’re currently located. All requests that have reasonable frequency will appear in suggests. They are shown in decreasing order. The keyword or keyphrase on the first place has the highest frequency and the bottom ones — the lowest. 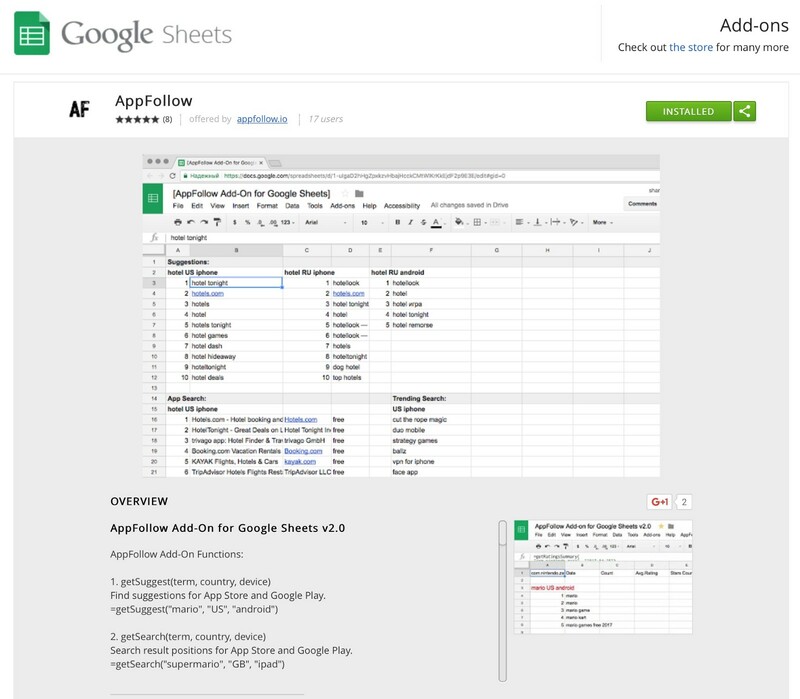 AppFollow offers an easy and convenient way to export suggests — via Google Sheets add-on available for all Google Docs users. To see the list of suggests add the following formula to any cell: =getSuggest(“request”). Instead of “request” enter the keyword or keyphrase of your interest. Don’t forget to add quotation marks. Once you collect the suggests for each keyword, mark them with different colors. In our example the most relevant suggests are in blue and less relevant ones are in yellow. Don’t take into account the titles with “-”, “:” or “&”. These suggests are app names. Voila! Your semantic core is ready. The next step is to analyse the most relevant and less relevant keywords. It will be the basis for app name and keywords on the app page in App Store and Google Play. However, this is the topic for a separate article that we’ll publish in the future. Dear readers, if this article was useful for you, please like ? or recommend it. We believe it is valuable for many app developers. Feel free to ask questions, express your opinions or comment on unclear steps.